A glittering .73 carat, I color, I1 clarity square cut diamond set on edge appears to float in the face of this splendid antique style engagement ring. 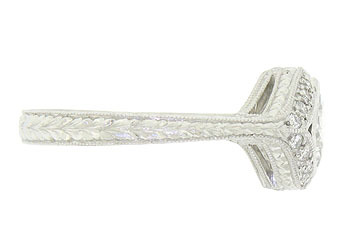 The elegant mounting is embellished with abstract organic engraving. 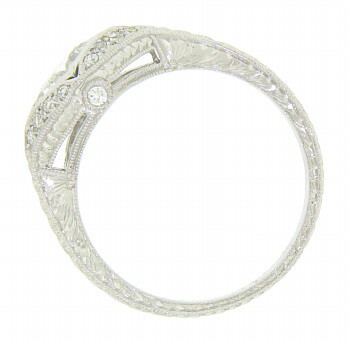 A pair of diamond frosted vines appear to spring from the abstract engraving and wrap around the dazzling center stone. 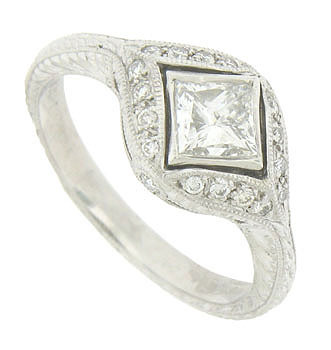 Additional round cut diamonds adorn the rings sides. 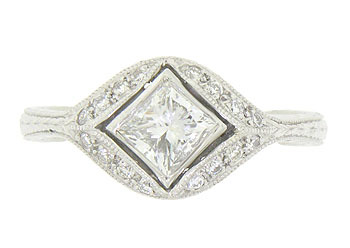 This spectacular ring is crafted of platinum and measures 9.37 mm in width. Size 6 3/4. We can re-size.